We Rescued Bailey One Year Ago Today! It's Bailey's Gotcha Day! On June 29, 2016 we brought Bailey home. To be honest, sometimes thinking about last summer gives me pretty intense anxiety. Rescuing Bailey was one of the best things we've ever done, but it also came with quite a bit of stress. Let me back up a little bit, because maybe you don't know the story. 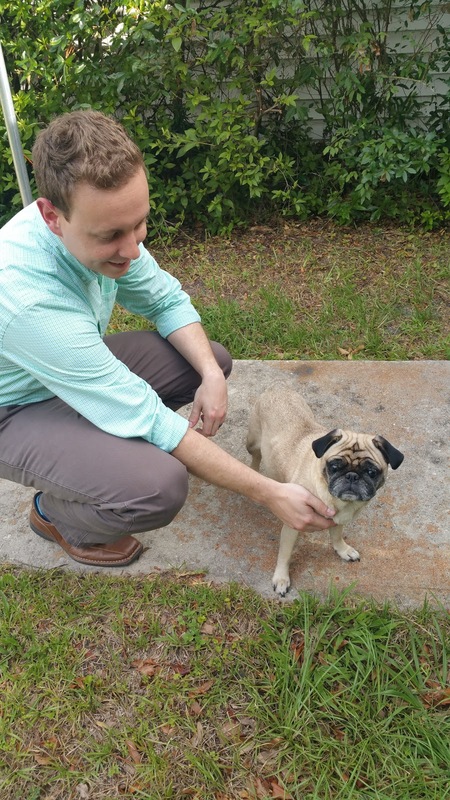 Blake and I had wanted to get a 2nd pug for a while, but we weren't sure if we wanted to go back to the breeder we got Delly from, or try to rescue a pug (possibly from the Pug Rescue of Florida). Then down the grapevine trickled the information that an acquaintance of a friend of a friend (etc!) 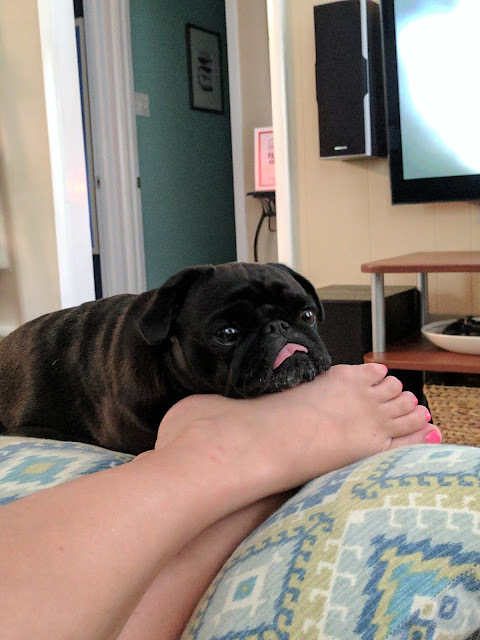 needed to rehome her pug. I won't give all the details but she wasn't happy to have to do this. Her family was going through a lot and she had to move out herself and couldn't take the dog with her. 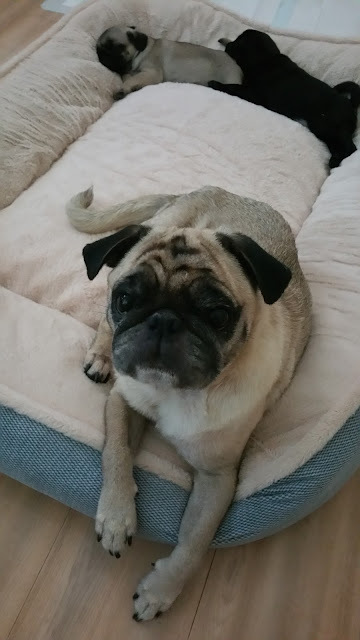 I reached out and told her we wanted a 2nd pug, that we were really familiar with pugs and that our dog was about the same age so we thought it would be a great fit. So many thoughts were rushing through my head. I had to call Blake and tell him what was going on. I just knew he'd say "no way, we can't adopt a pregnant dog." But he didn't. He could tell in my voice that I just couldn't leave her. I told him that she had been kept outside, and that it had been raining that day. Bailey was in pretty rough shape even without the pregnancy. He laughed nervously and said, "well okay!" Gosh, she was in rough shape. 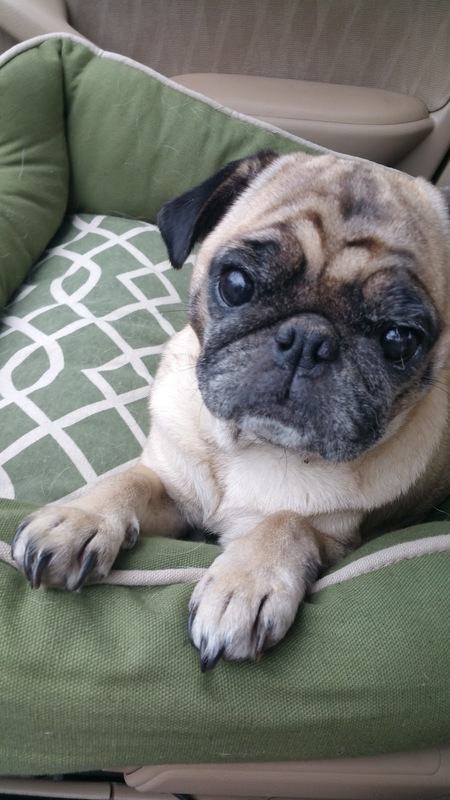 Pugs are kind of high maintenance dogs, and they can't really be neglected for long. She had ear and eye infections and was underweight by several pounds. 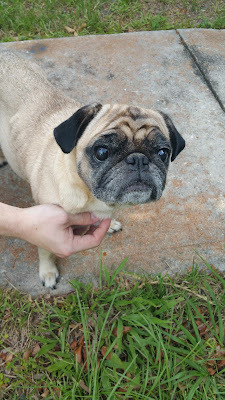 We could tell she was a smaller pug, but she was only 12 pounds and basically full term pregnant. (For perspective, Delly, who has never missed a meal in her life, is about 18-19 pounds) She also wasn't up to date on her vaccines. I will never forget how much dirt came out of her ears. The vet tech had to help me clean them out and even she was shocked. 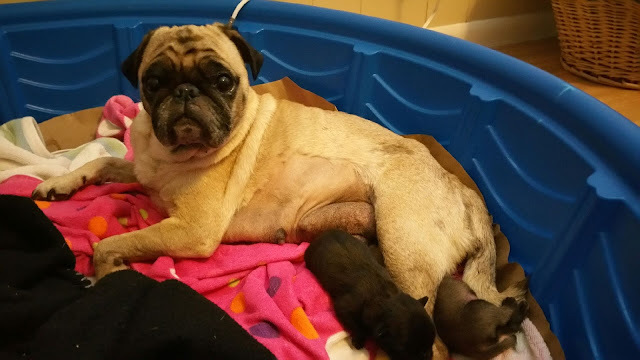 She ended up having the puppies on July 19th, just a few weeks later. 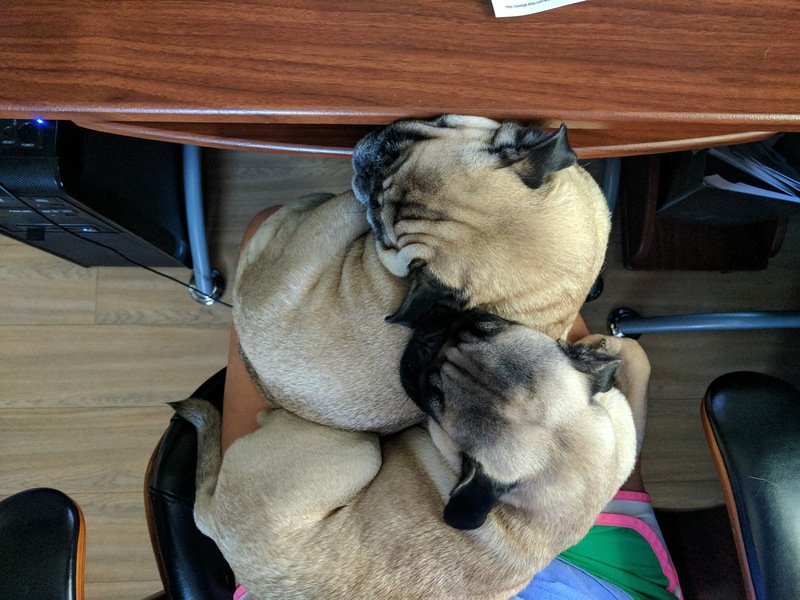 I don't want to re-type out the birth story of the puppies. It was pretty traumatic. And I guess if that's the worst thing that has happened to me, I can't really complain. But, I can't even look at the travel kennel without having intense flashbacks. I had to switch laundry detergent because the smell of those freshly laundered towels I had for the whelping box still lingers in my head. We were also undergoing a major bathroom remodel at the same time, and while that turned out beautifully, it only added to the stress. It took me months to recover emotionally, as dramatic as that sounds. 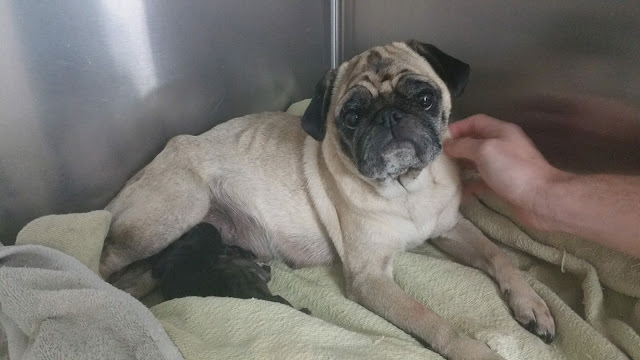 Here she is with her 2 babies, right after her C-Section. I think this was the first time we truly saw how skinny and frail she was. All the nutrition she had was going to those pups. She was just skin and bones for the longest time. We fed her any time she showed any interest in food. In fact now I'm remembering she could only stomach wet food for the first few weeks. In the last year, Bailey has totally blossomed. We got her eye and ear infections fixed right away. She got up to date on her vaccines, and we had her fixed. But, not before she went into heat again! Ugh, lots of new experiences with this girl. She was and is just the best momma. Winston still harasses her on a daily basis, and she will just roll over and pretend to be his prey. It's so funny. I'd say they are what's called a bonded pair. 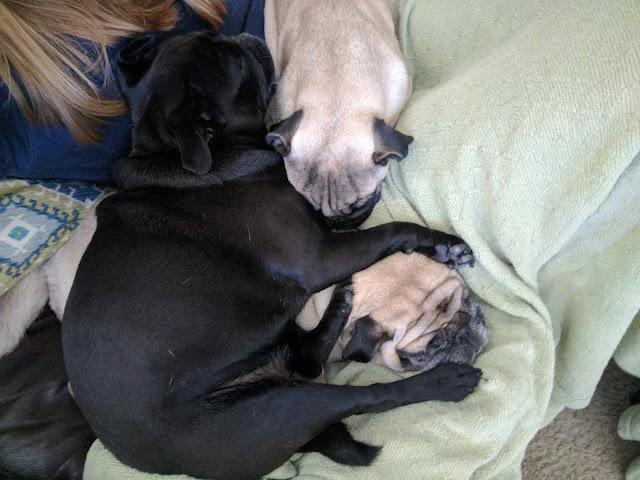 They sleep together in the kennel, while Delly still prefers to be attached to us. Bailey does have trouble seeing from time to time. Her eyes are very dark, which apparently comes from getting older. She can't see too well in bright light, so sometimes she gets lost outside-even when you are standing near by. We will just talk to her or clap our leg so she can figure out where we are. She has been known to run into us too! 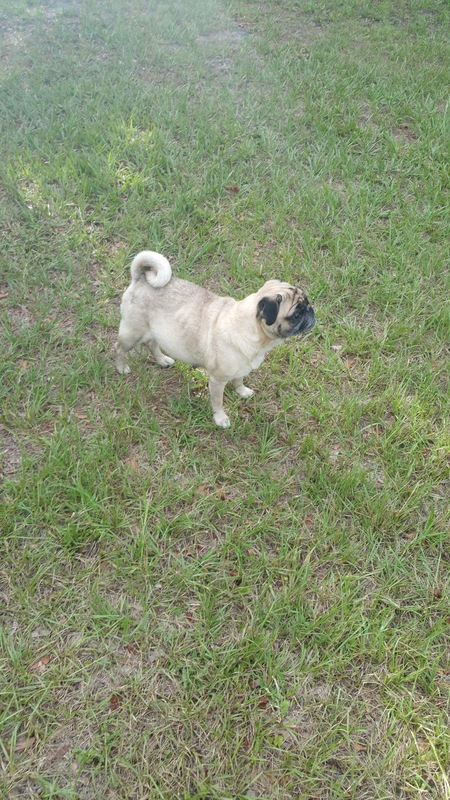 She has put on about 4 pounds, and her stomach has shrunken from her puppies/c-section. She has a cute little figure now! And a great appetite! She really filled out when we started her on high-calorie puppy food. It was pretty challenging to feed 3 dogs, 3 different foods! Fortunately, now they all eat the same thing. All that good nutrition really benefited her. Her fur is so so soft now and she doesn't get itchy paws anymore. She has the sweetest personality, and is so laid back! Although, she will yell at you if she is hungry or needs to go out. We love that she drinks like a camel, but we don't love that she also holds it all day and only goes out once. If you miss it, there is about a gallon of pee to clean up! At this point, though, I think we recognize her cues. I've snapped a few pictures of her recently, so you can see her transformation! No more ribs sticking out, but she still has those sad eyes mastered, haha! I think this look is just utter contentment. Especially because I banished Winston to the other room. Her eyes really change outside. I wrote a little bit about adopting a dog in this post about changing her name. It was definitely a different experience than getting an 8 week old puppy from a breeder. Bailey was a full grown dog with a whole history we will never know. We had to get to know her, and she had to get to know us! We didn't know what tricks she knew or if she had ever even been on a walk. It's neat to look back on this past year and see how far she has come! The crazy thing is, I'm not sure she'd be alive if we didn't take her home that day, which is super sobering. I'm so happy we went out on a limb for her and that it worked out the way it did. I can't say enough good things about adopting or rescuing a dog, and especially an older dog who needed a little extra care. She has been a great addition to our family, and without her we wouldn't have Winston either! And goodness knows he keeps our life interesting! For more pug posts, look here or follow us on Instagram! & Look here for puppy posts! Give me all the shorts! 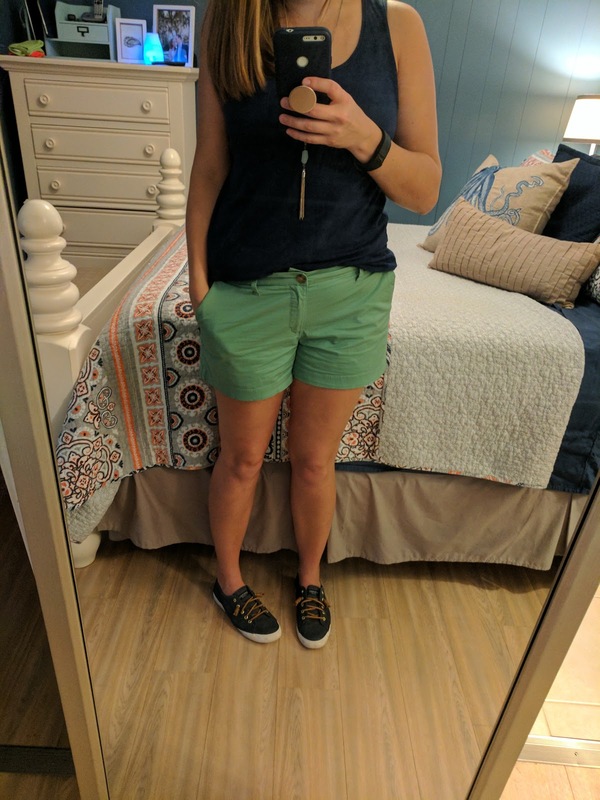 I stopped into Old Navy last week to score some of my favorite 3.5 inch shorts. I buy some every year, because I do tend to wear these out. They were on sale for $8 a piece, so I bought 4 pairs. Two in navy because I wear those the most. I find these super comfortable, and I love the length. I wore this outfit all day, so excuse the wrinkles. 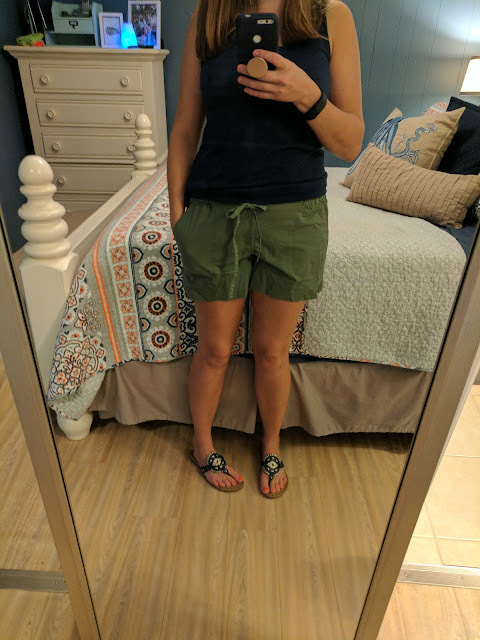 These I bought at Target, and they are the most comfortable shorts ever. If you want to get some, size down! I should have. They are very stretchy and forgiving. These will be easy to pull on, especially at the beach. I think they will be perfect theme park shorts as well. Also, the tank I'm wearing is my favorite shirt right now. 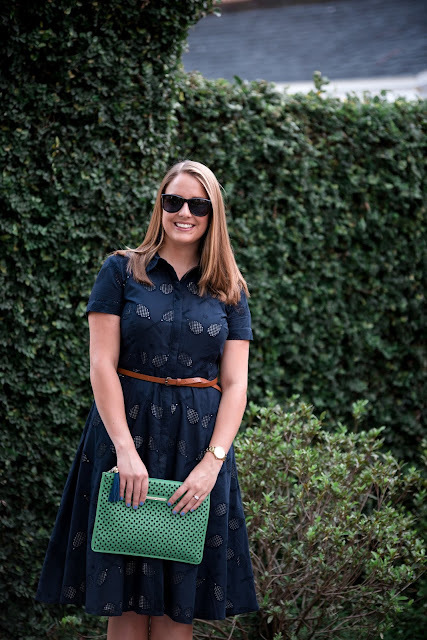 It's from J Crew Factory and I have it in 2 colors, but will be happy to buy them all. So easy! I also recently bought the short sleeve version, but I forgot to photograph that one! Every blogger has this top! It's so cute! 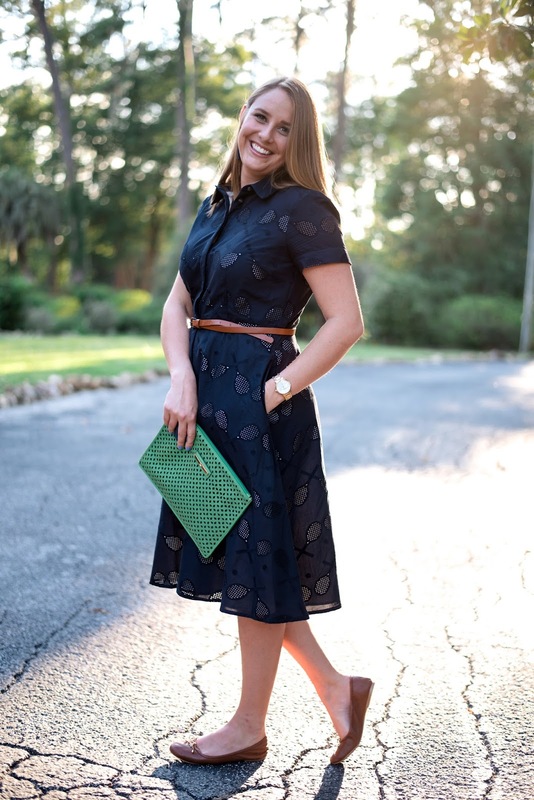 SheIn is very hit or miss for me, but it's so cheap that it doesn't hurt when something doesn't work out. 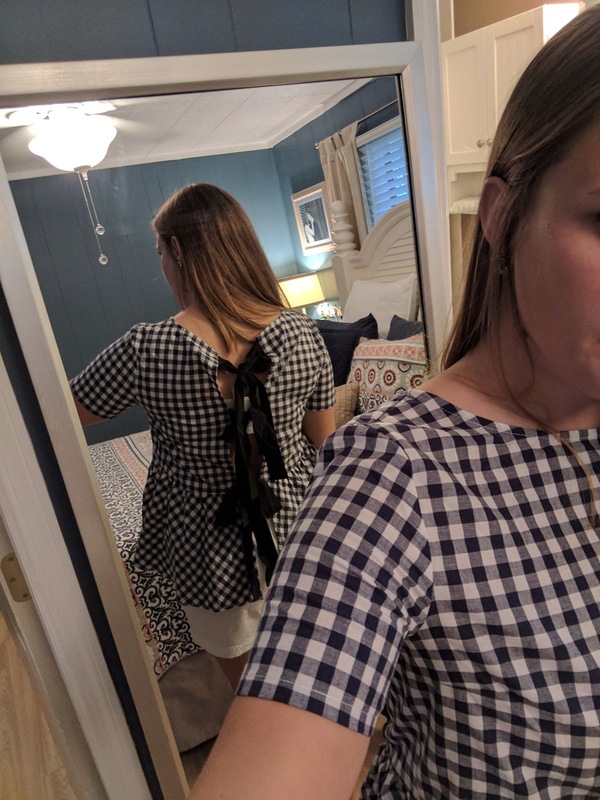 The real star is the back of this shirt. I actually haven't worn this out yet, but it's because I hadn't thought of wearing a bralette with it until I took this picture. 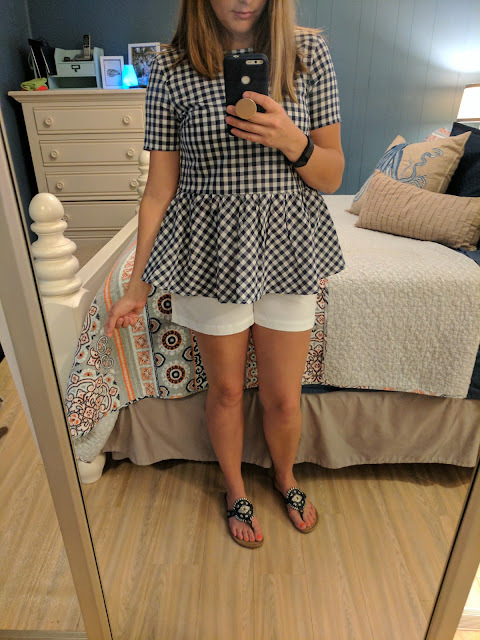 Definitely a more fun top that I usually go for. This shirt is not very"on-brand" for me, aka not navy and white! But I love it! I actually saw a girl wearing this top on our last Disney trip, and I chickened out of asking her where she got it. Fortunately for me, a blog I follow posted about it the next week! So I asked her, and of course, it's from Target. I love a tank top that lets you wear a real bra. It's a juniors shirt, so go one size up from your normal size. I buy everything I love in 2 colors! 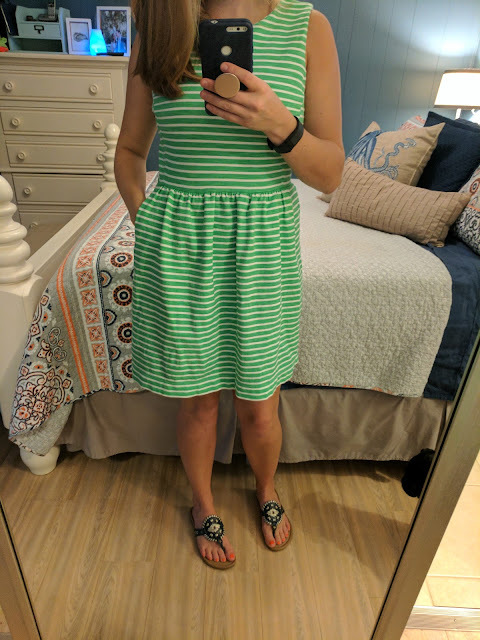 My friend actually bought me this dress as a gift, and I loved it so much I bought it in green! You can see me wear the blue one in the post about our Disney trip. Some days you just don't want to wear pants. And that happens to me pretty much every day. 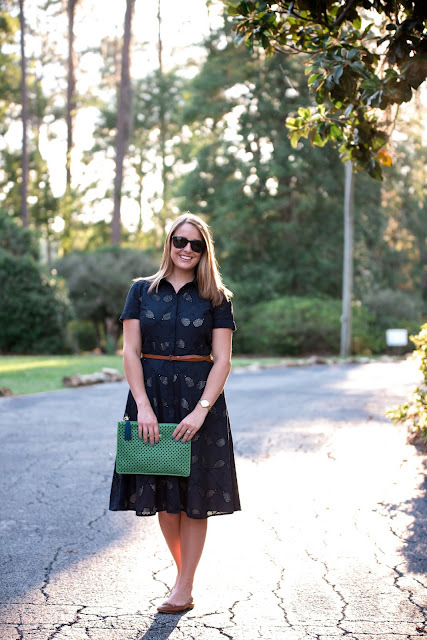 I love an easy dress to just throw on and call it a day. However you can dress this up with a cute necklace or belt and make it look like you put some effort into it. 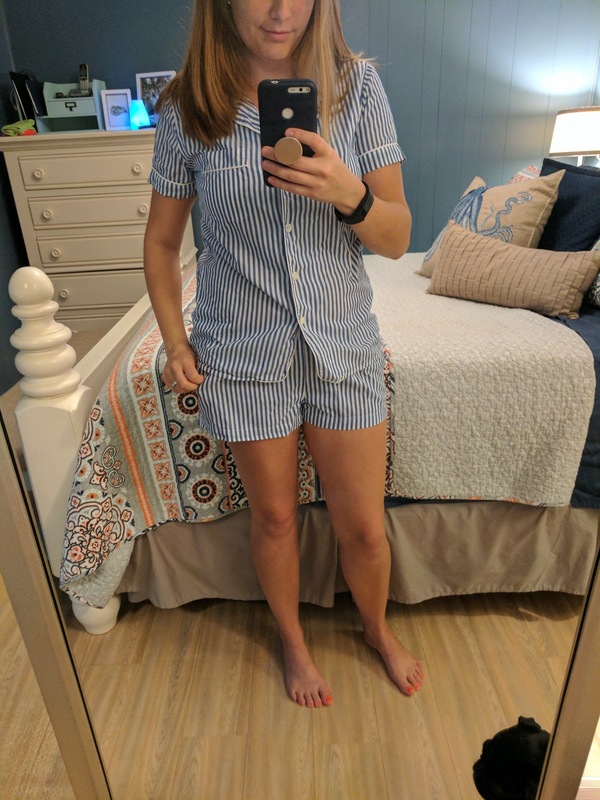 And, I can't believe I'm in Pajamas on the Internet. But, it's worth it because these are my most favorite pajamas I've ever owned. I love a cute pajama set, and this one feels grown up. So many sets include pants, which this Florida girl can't stand. 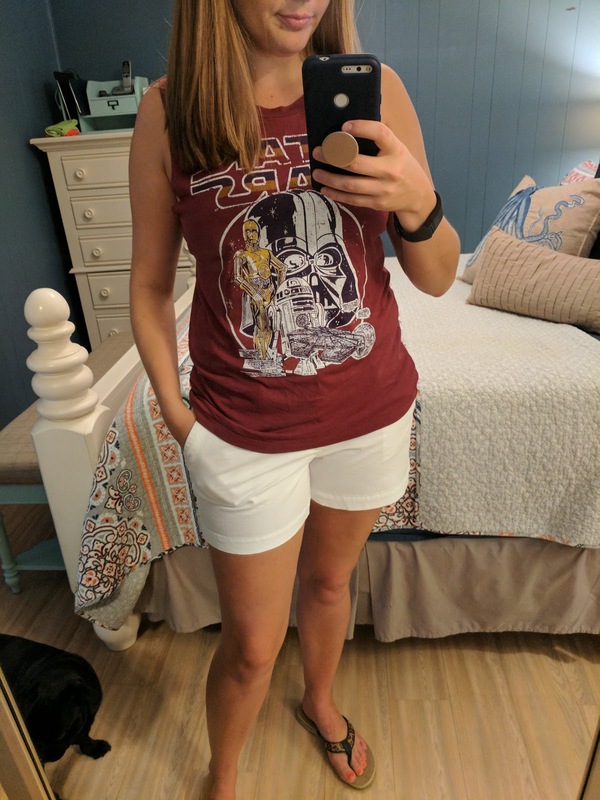 I had to buy a medium in the shorts and a small in the top, FYI. 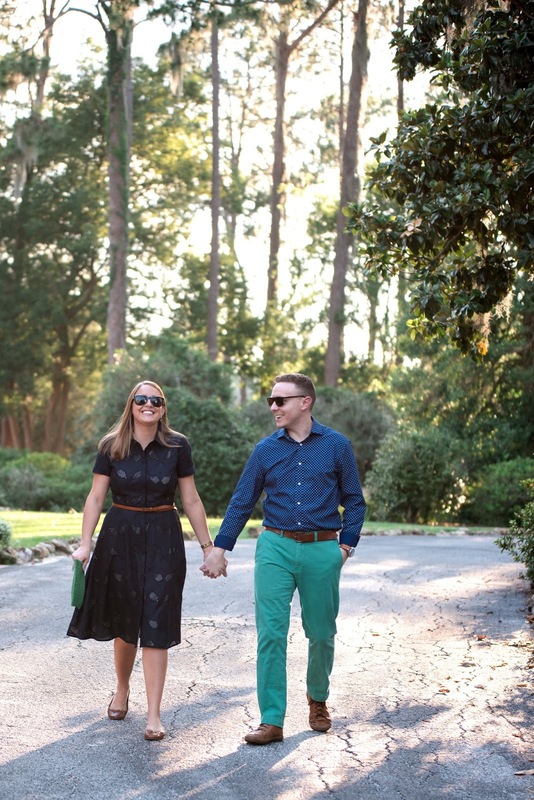 I can't wait to show you a few other things that I've picked up in official outfit pictures! I'm saving them because a mirror selfie just won't do it justice. Although Delly popping in and out of the pictures is a real treasure, haha. 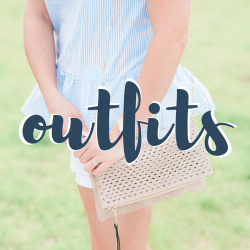 Leave a comment below with your favorite recent purchases! What is your summer uniform? 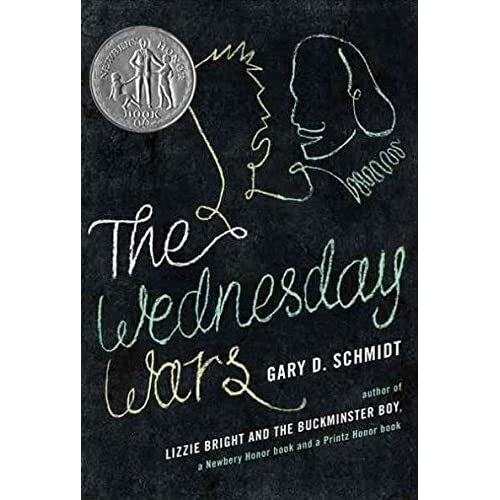 From Goodreads: The Wednesday Wars is a wonderfully witty and compelling story about a teenage boy’s mishaps and adventures over the course of the 1967–68 school year in Long Island, New York. This took me a little while to get into. The story takes place during an entire school year, so it has lulls. I really only got enthusiastic about the story in the 2nd half. This was a really light read. It's wholesome, and I really like a kid's perspective on a time in history that had a lot going on. It reminded me of when I was in 6th grade and 9/11 happened. I knew it was terrible at the time, but I was so young that I really didn't understand the whole thing. Holling lives during the Vietnam war, The Beatles, Martin Luther King Jr. and Bobby Kennedy being shot...but he's also got a lot going on in 7th grade. He is a fun and charming narrator. I did really like this book, but I didn't LOVE it. It's charming and light, but it definitely isn't thrilling. Follow me on Goodreads! Previous books I've shared here. 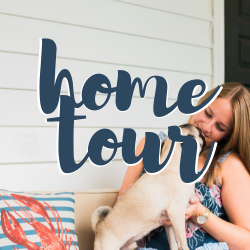 Home Tour! Come See Our Kitchen. This is the next stop on our home tour! Find the previous posts here. If I was blessed to be on one of those HGTV home reno shows, and it was totally free and someone else did all the work, I know exactly what this room would look like. My design would involve tearing down walls and reworking the entire room. But alas, this is real life. In real life, I had no idea what I would do with a load bearing wall and I also knew carrera marble would look really out of place in this house. Flashback to 2010 and this is what you'd see! We did have a new fridge, which was an amazing gift from my in-laws for our wedding. But, the rest of the kitchen...let's just say it was pretty cringy. Our kitchen modifications happened over time. We bought a new stove one Black Friday, so that we could have matching appliances. 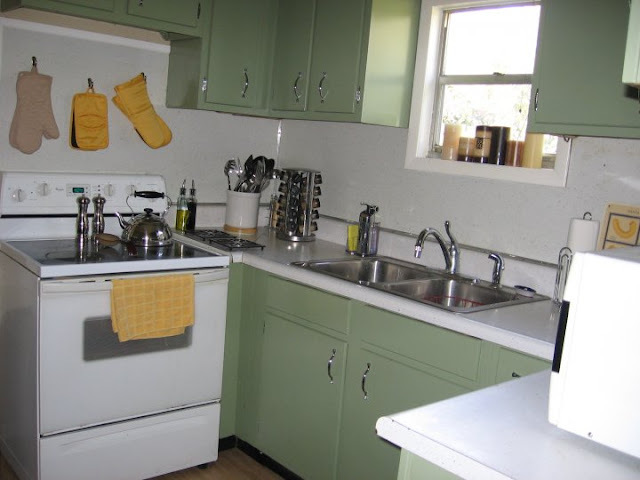 I painted the cabinets, and we lived in a very white kitchen for a few months. Then we were able to hire an amazing guy to build a custom countertop for us, and then we had our talented family member install a backsplash to match. Can I just brag on our backsplash for a second? I wanted white subway tile, but I wanted to break up the white with a gray grout. Groundbreaking right? Well it was at the time! We came up with this combo long before it was popularized by Fixer Upper. It was so new the relative who installed it was very skeptical about the combo, but he did it anyway and was impressed when it didn't look crazy. Anyway, it turned out great and if we ever resell our house people will like it. Under cabinet lighting was the best thing I ever did to this space. The overhead light and window don't let in enough light, so with the puck lights we have great lighting for tasks. I would love to add some to the other side of the kitchen by the stove, but there aren't any outlets over there, so I've gotta figure that one out. One thing I've always liked is the open shelving on the one side of the kitchen. 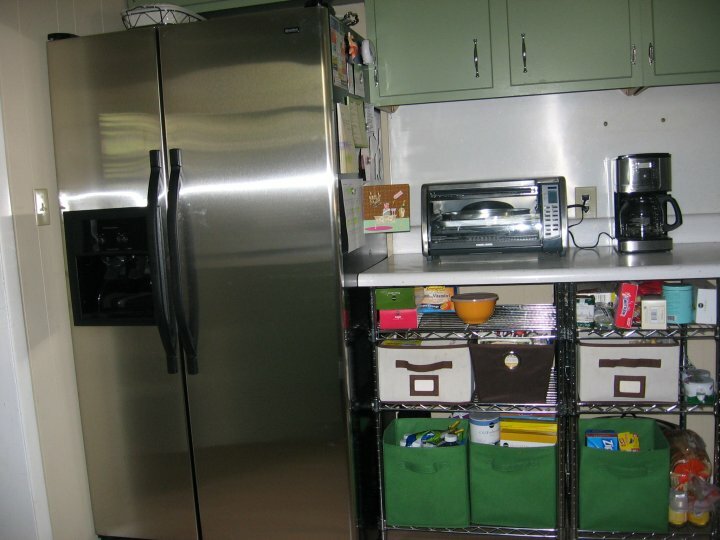 It acts as a pantry and a place to store cake stands and smaller appliances. I'm also head over heals for our sink! We replaced our tiny double sided sink last summer for this big open sink with an awesome faucet. 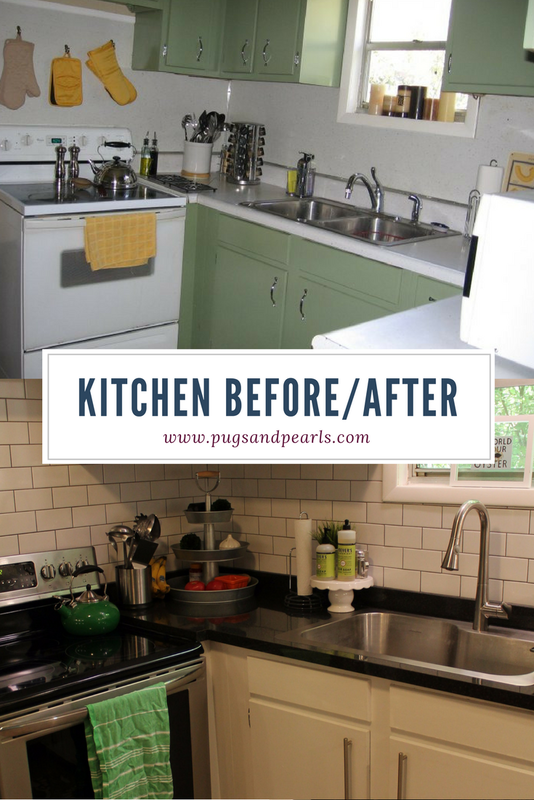 This was life changing since we are dishwasherless! Leave a comment below if you have a tiny kitchen too! Do you have a dishwasher, or are you a handwasher like us? I'd love to know if people tend to gather in your kitchen, or in a different room of your house! 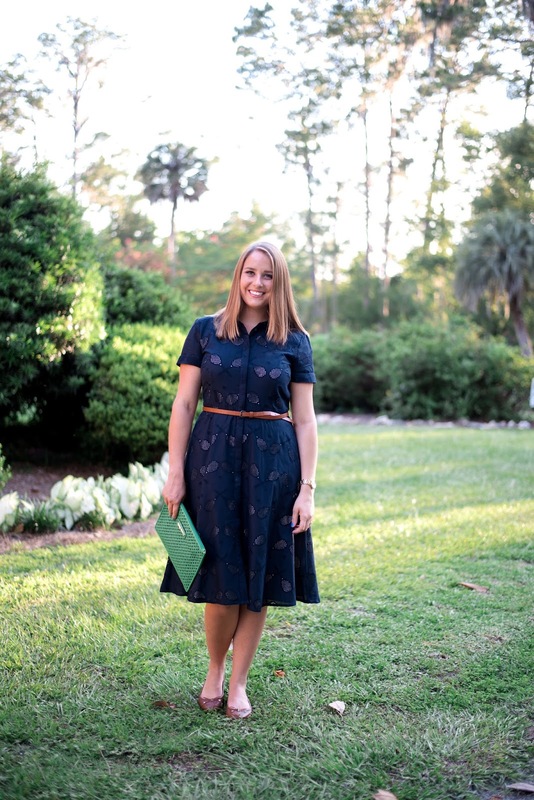 There was a dress from Anthropologie a few years ago, that I have been obsessively trying to find. 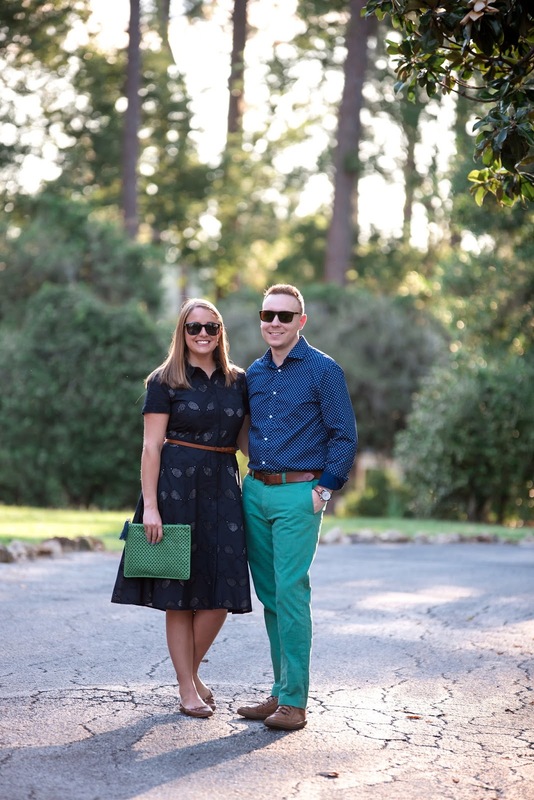 It was kelly green and had tennis rackets embroidered on it. (Here is the dress I'm talking about) I could never seem to find it on Ebay or Poshmark in my size, despite my searching. When I first saw this shirtdress from Ann Taylor, I knew I had to have it. 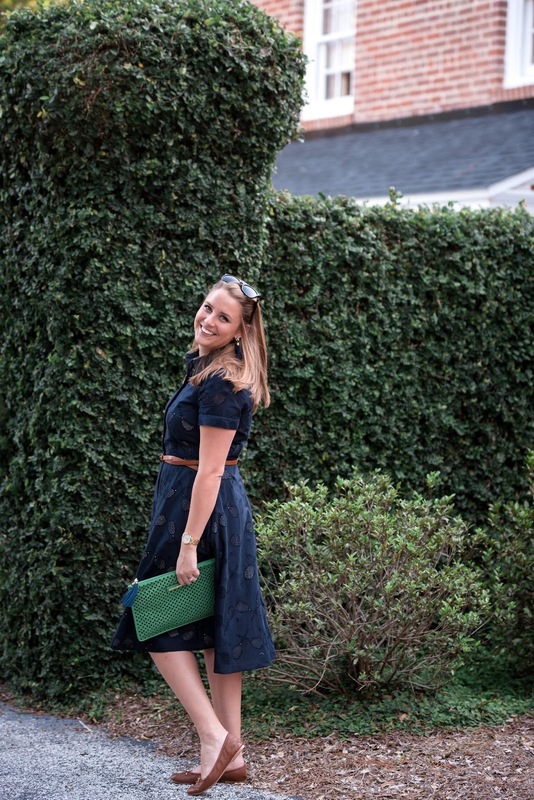 Not only did it have tennis rackets on it, but it was also navy blue - my go to color. It completely fills the void of that Anthro dress, and actually my love for this dress surpasses the other. Not only is this dress probably the cutest thing I've ever owned, but it's comfortable and flattering. The tailoring is on point. Gotta love Ann Taylor for stuff like this. 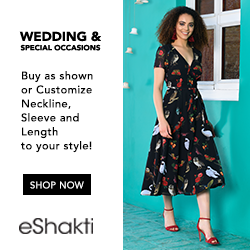 Leave a comment below if you've ever regretted not buying a dress, but found a better one later! Would you rather spend a little extra on a pair of shoes, or buy cheaper ones that may not last as long? 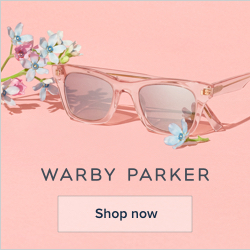 Affiliate links used, at no cost to you! I have an Instagram account for the pugs. I cringe every time I admit that, but I have a legitimate reason for it! My instagram feed is loaded with pictures of my friend's kids, and there are probably only a handful of those kids that I actually want to see pictures of. Half the pictures on my phone are of my dogs, and undoubtedly others don't care about them like I do (just like how I feel about kid pictures) so I created an Instagram, so my friends who do want to see them can. There is actually a huge pug population on Instagram! I'll put it this way, the dog's account has more followers than my personal account. Anyway, all that said because the following picture of Delly went basically viral. Not really, but most of our pictures get about 100 likes or so, but this one got close to 500! For no reason. I mean it's cute, but I really don't understand !! It must have something to do with Instagram's algorithms. The next picture I posted was back to the usual amount. I'm trying to cook more at home! Eating out is still our biggest weakness when it comes to our budget. 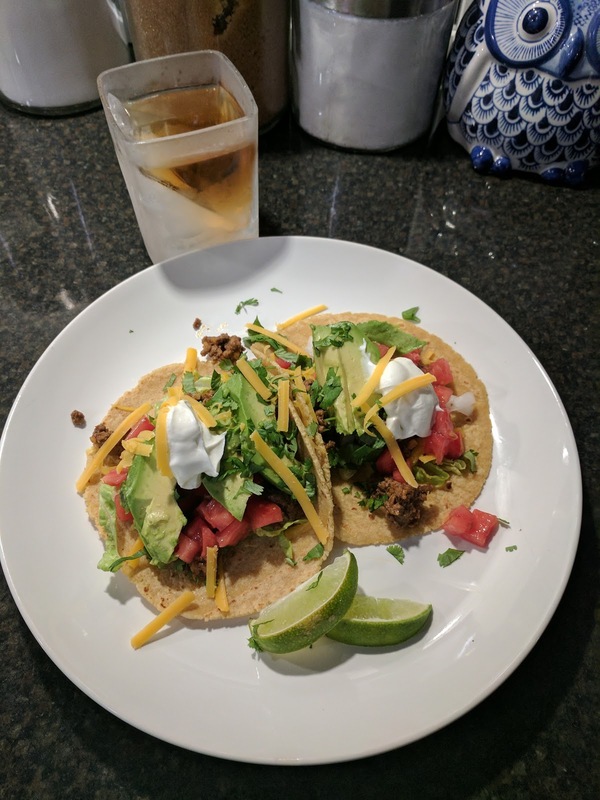 Some days are just so busy, and the last thing we want to do is come home and cook. The funny thing is, we never have meals out that are better than something we can do at home. I'd definitely like to challenge myself to cook more frequently. 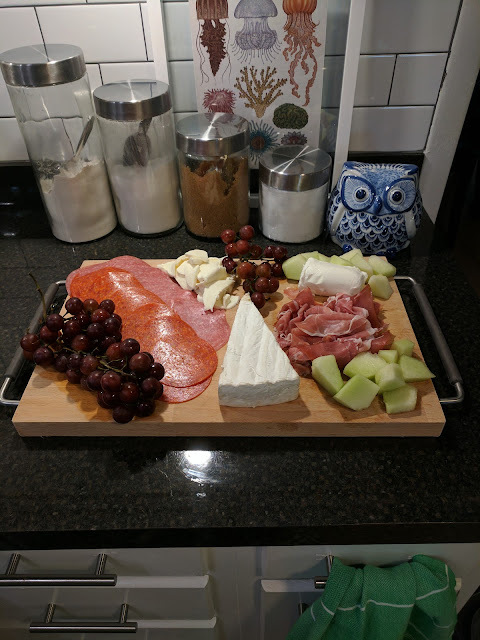 This past weekend I made my first cheeseboard! I'm drooling just looking at it. Oh, and our taco nights have forever changed because of these tortillas! The yellow corn ones are to die for and they don't fall apart. I easily found them in our small-town Publix that doesn't usually carry too much variety. Blake finally bought me a riding lawn mower! I have been waiting for this for years!! We've had a sorry push mower for the longest time, and this past year the self-propelled function broke. It's an incredible workout, but it was taking us like 2 hours to mow even though we only have less than a half of an acre. Funnily, it was Blake's turn to mow the grass, and that's what made him finally go up to Lowe's and get a riding mower. 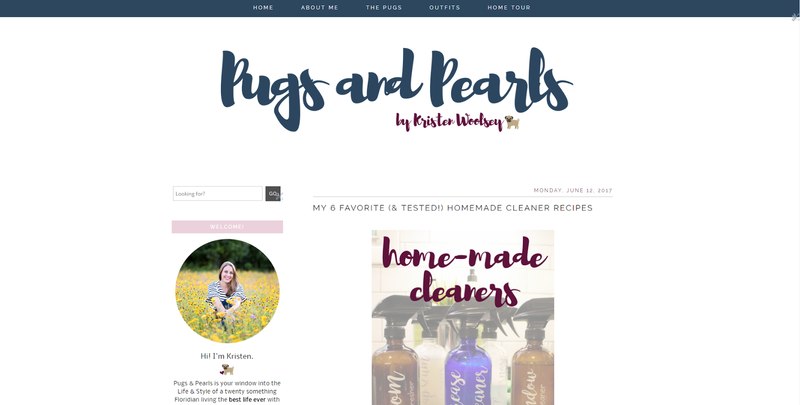 Pugs & Pearls got a facelift! I've slowwwwly been working on a little makeover for this blog. My tastes have changed since I started blogging in 2014 (!). Right now I really appreciate a simpler, easy to read format. 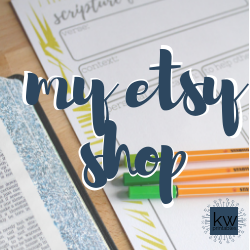 I found a great (basic) template from Etsy that I was able to completely customize, which I really liked. Mobile friendly was important to me too. It would have been SO great to have a professional design it for me, but I had trouble with the idea of handing over so much money. Props to some of you who already noticed the makeover! 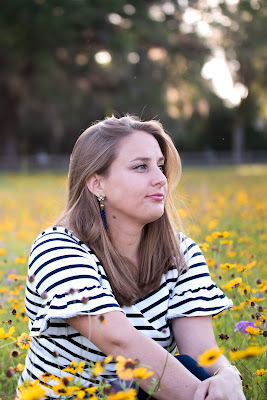 It's been cool to see who comes directly to my website, and who reads from something like Bloglovin! Blake and I are basically turning into the same person. This cracked me up! 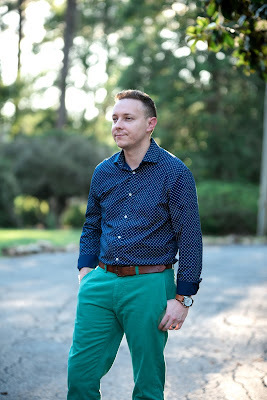 One of the photo's from Wednesday's post about Blake's style reminded me instantly of the picture of me from a few weeks ago. We are making the exact same expression of disdain or skepticism, I'm not sure which. When you've been together for a few years, you definitely start rubbing off on the other person... I just didn't have photographic evidence before! My Husband Is A Fashion Blogger!